Most often, we makes the mistakes of putting in the wrong Nigeria post codes or postal codes for our cities when filling forms online. 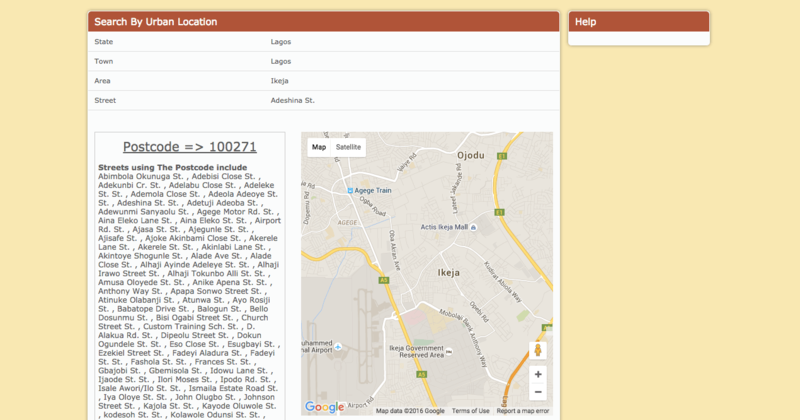 There is a service called Nigerian Postal Service which help you search and generate postal codes based on location. Follow the steps below to get the postal codes for your area. Select State ‘Your State’ eg. Lagos. Select Town ‘Your Town’ eg. Lagos. Select Area ‘Your Area’ eg. Ikeja. Select Street ‘Your Street’ eg. Adeshina Street.